Rose Hill Service Center is Your Source for Honest & Reliable Auto Repair in Frederick MD. Locally Owned Since 1995. Looking for the best auto repair in Frederick MD? Rose Hill Service Center is your trusted auto repair shop in Frederick. 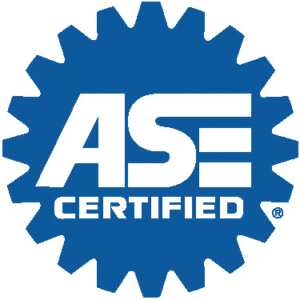 Our ASE certified mechanics have been providing skilled and reliable auto repair in Frederick, MD and surrounding communities since 1995. Therefore, we have proudly built a reputation for being honest and efficient – saving you time and money. We know that your car is an essential part of your life and that keeping your car in top running condition is as important as repairing them. We provide complete routine maintenance services for all cars, import and domestic. Rose Hill Service Center proudly serves all of Frederick MD and surrounding areas with the best auto repair, brake repair, engine repair, oil changes, preventative maintenance, MD State Inspections, and more. Repairs are made as quickly and as efficiently as possible – we know how much you need your car! 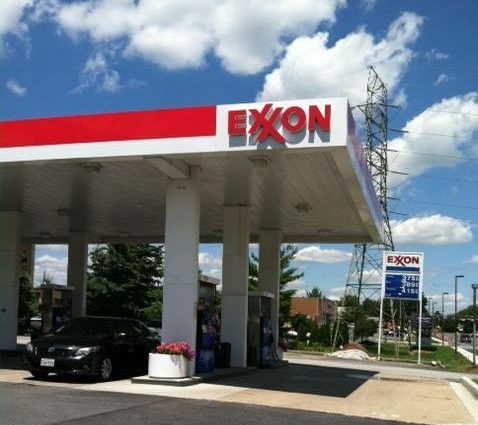 We also offer a 24/7 Exxon gas station, ATM machine and snack shop, and are conveniently located off Rte 15 Motter Avenue exit at 1561 Opossumtown Pike, Frederick, MD 21702. When you need quick, reliable and affordable auto repair in Frederick MD, Rose Hill Service Center welcomes the opportunity to earn your business. Looking for the best auto repair in Frederick? At Rose Hill Service Center, ASE certified technicians provide expert, trusted auto repair in Frederick, MD. We service to all makes and models of cars, trucks, and vans. We offer routine maintenance, brake service and repair, tire repair, electrical repair, alignments, steering and suspension repair, as well as complete transmission / engine repair or replacement. Come to Rose Hill Service Center for the best oil change in Frederick MD! Getting an oil and filter change at helps keep your engine clean and properly lubricated so it can run more efficiently. Our factory-trained technicians offer high-quality oil changes in Frederick using oil and filter products that are right for your vehicle. Put it all together and it can even help improve your gas mileage and extend the life of your vehicle with factory schedule maintenance. Rose Hill Service Center is your choice for trusted MD State Inspections in Frederick. Most used vehicles are required by Maryland Law to undergo a safety inspection prior to its sale or transfer. Rose Hill Service Center in Frederick, MD is fully authorized and, with its convenient location and reliable technicians, offer affordable and reliable Maryland State Inspections in Frederick MD. Rose Hill Service Center provides the best brake repair in Frederick. We understand that functional brakes can save your life and those around you, and is one of the most important systems of your vehicle. Thats why we work hard to provide honest, quick, and reliable brake repair and service in Frederick MD. When it comes to brake repair in Frederick, you should only trust professionals. Check Engine Light On in your car or truck in Frederick MD? Your CHECK ENGINE light is the computer’s way of telling you that there may be a problem and your car needs service as soon as possible. As you can imagine, there are MANY things that could cause the engine check light to become active. Come to Rose Hill Service Center for a quick check engine light diagnostic in Frederick. Rose Hill Service Center is your source for trusted engine repair and transmission repair in Frederick MD. We provide the best effective, affordable, and safety-conscious solution for your vehicle. While repairing damage is effective is some situations, in others, it’s best to simply replace the entire engine or transmission. For the best engine / transmission repair or replacement in Frederick MD, rely on Rose Hill Exxon Service Center. We’ve been serving Frederick community since 1995. Rose Hill Service Center offers 24 Hour towing services in Frederick, Maryland. We respond to our customers’ Frederick towing needs professionally and respectfully with some of the best prices in the local towing community. You can count on us for fast & reliable roadside assistance and towing in Frederick and surrounding areas. Come to Rose Hill Service Center for quality steering and suspension repair in Frederick MD. We have the necessary equipment to identify and correct any issue regarding the steering and suspension system of your vehicle. Your can trust our expert technicians to fully inspect the steering and suspension components in order to determine whether your service will entail a minor adjustment or a replacement. Rose Hill Service Center continually strives to earn your trust and be your one-stop auto repair shop in Frederick MD. Whether it’s factory scheduled maintenance or an unexpected check engine light, our highly trained mechanics will provide you with an auto diagnostic test to ensure your car and its systems is functioning at its best. We provide high quality repairs at competitive prices, and exceeding your expectations is our number one goal. We look forward to meeting you and serving you and your family with quality auto care in Frederick MD.